* Exchange Rate is updated between 10:00am and 10:30am JST on working days. Nairobi,Kisumu, Nakuru, Thika, Eldoret, Kitale, Kakamega. * The Charges includes shipping line charges, port charges, driver allowance, fuel, foreign permit and comprehensive insurance. * The charges do not include any KRA penalty i.e Port storage, Warehouse rent and removal charges . Choose your favorite unit on our web-site and place an order or contact our office so our staff can help you choose a car. After choosing your car, one sales staff will be designated for you and will send you the proforma-invoice via email. Can I pay at your local office? All the payments are made by T/T(Telegraphic transfer) for Japan. Do the prices include importation duty and tax(VAT)? Duty and VAT are not include in the prices. The same are paid by your or via an Agent in your country. For Estimated duties simulation, please contact our office or refer to Kenya Revenue Authority. How long does it take to the vessel to arrive at Mombasa port? 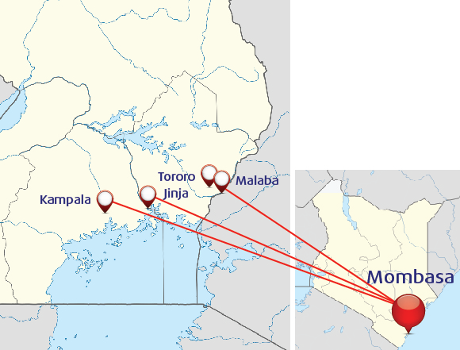 The Delivery time to Mombasa is about 6-8 weeks. The duration of Delivery time may change due to Shipments availability or timing of payment. How do I apply for the Whole / Simple Package service? 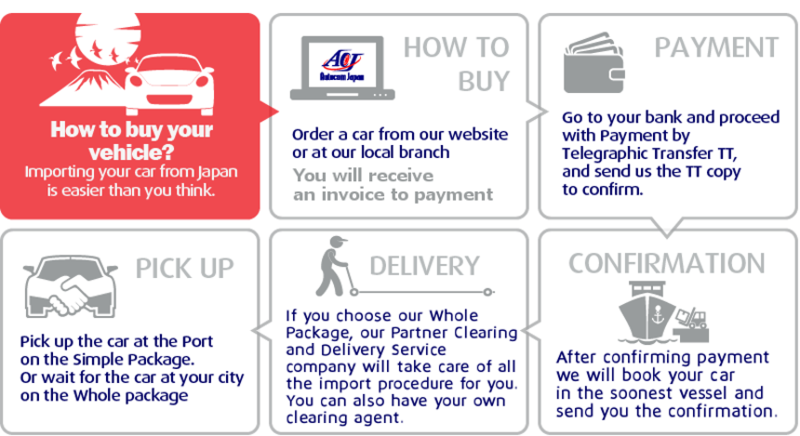 After choosing a car, please request the Whole/Simple to your designated sales staff, ACJ will make an application for the service at Transfreight Logistics for you. Do Autocom Japan inc. Official Agents will contact me after documents are released? Yes, Stanmore Holdings Ltd will contact you after the documents are ready for pick-up.